Do you long for a deeper relationship with God but don't know where to start? Have you ever felt awkward or frustrated when you tried to pray? You are not alone. Many Christians are insecure about their prayer life. 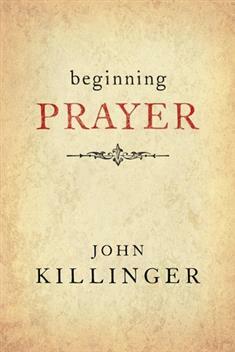 John Killinger, a former pastor and professor, is well qualified to give step-by-step instructions for how to pray. In this simple how-to book, he answers basic questions beginners have about prayer. This book, an Upper Room classic, is also an excellent resource for Sunday school teachers and other church leaders who are asked about prayer.